Fear and faith cannot coexist in a songwriter any more than light can coexist with darkness. Depending on which of the two emotions you have will affect your beliefs, thoughts, words, and actions. Ultimately, it will affect your destiny. When you have faith, you believe in positive outcomes and hard work. When you have fear, you doubt. You wonder. You worry. You fail to act. When you have faith, you set the goal to have a songwriting career filled with hits (and maybe even a timeless classic or two). When you fear, you make it a hobby or simply something you do to take the edge off your 9 to 5. When you have faith in yourself, you write inspired music. When you fear, you write what everyone else is writing just to get in the door. When you have faith, you stretch your boundaries. You take chances. You innovate lyrics and melody. You create. When you fear, you stick to clichés and write safe, predictable melodies. When you have faith, you improve. Your lyrics get better over time. Your melodies become more refined. When you fear, your songs all start to sound the same. You stagnate. When you have faith in your songs, you invest in killer demos. When you fear, you keep them as worktapes, wondering if it’s worth the demo cost. When you have faith, you send the email. You ask others to critique your songs. You call the publisher. You attend the workshop. You cowrite. When you fear, you keep your songs on your hard drive. You avoid critiques. You keep to yourself. When you have faith, you speak positively about your potential and future as a songwriter. When you fear, you tell others it’s too hard and that the music industry has too many closed doors. You complain. You procrastinate. You rationalize. In the end, when you have faith, you are still not guaranteed to make any money as a songwriter. But either way, you’ll have written your best songs, maximized your talents, and found satisfaction in doing so. When you fear, you are guaranteed to never make a penny. And your best work will remain unwritten, unproduced, and unheard. 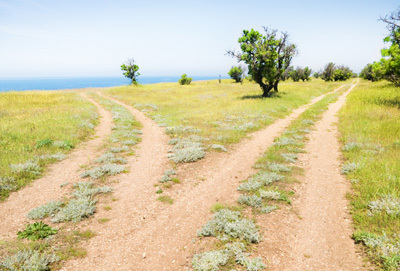 Which road are you on? The one of faith or the one of fear? Choose faith. Regardless of outcome, you’ll be glad you did.